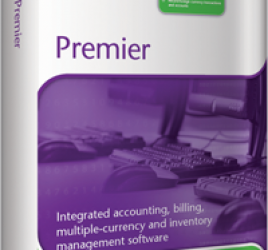 MYOB Premier provides for default inventory location which is the main inventory location. 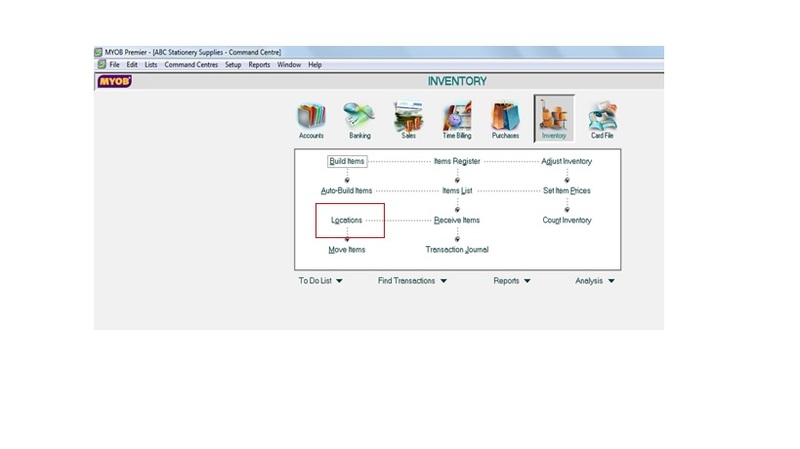 However, if your inventories are stored and kept in more than one location and you want to keep track of the inventory movements, MYOB Premier enable you to create and setup multiple inventory locations. 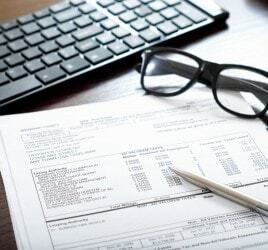 Consequently, MYOB provides for Location field when you enter transactions in Sales and Purchases when you enter additional Location other than the default and main inventory location. 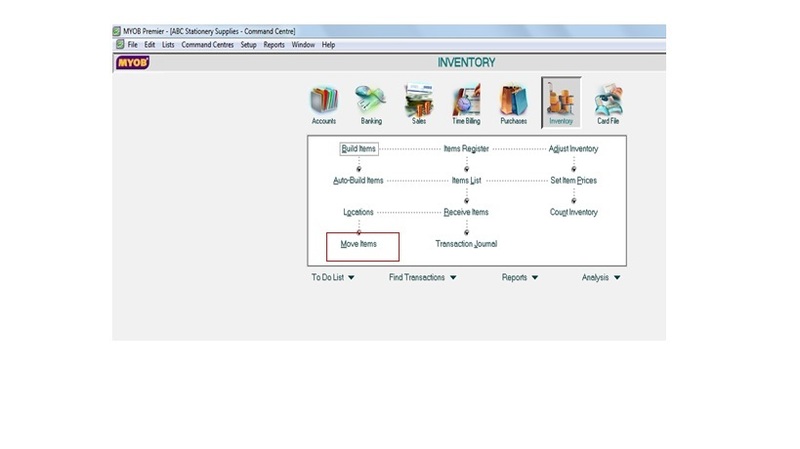 You can also record inventory movements among the inventory locations you have set up by using Move Items feature of Inventory Main Command Centre. 1) Go to Inventory Main Command Centre and click on Locations. 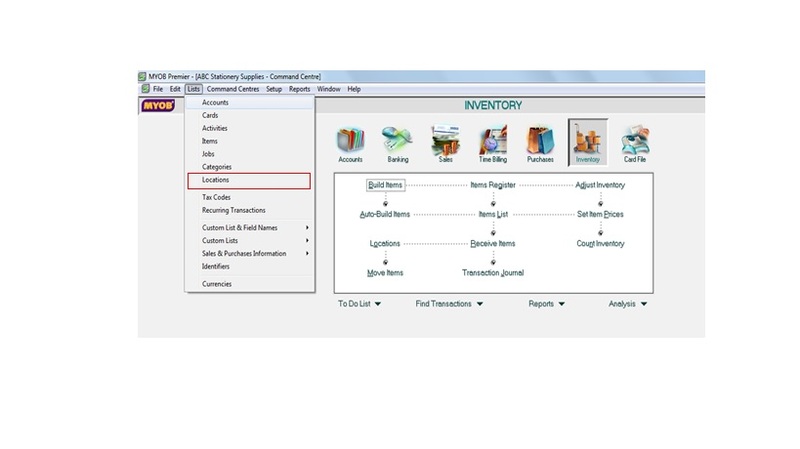 Items Cannot be Sold or Shipped from This Location – if the additional Location is for inventory storage purposes only, you can only receive or sell items from this location by using Move Items feature which will be further discussed in this part. 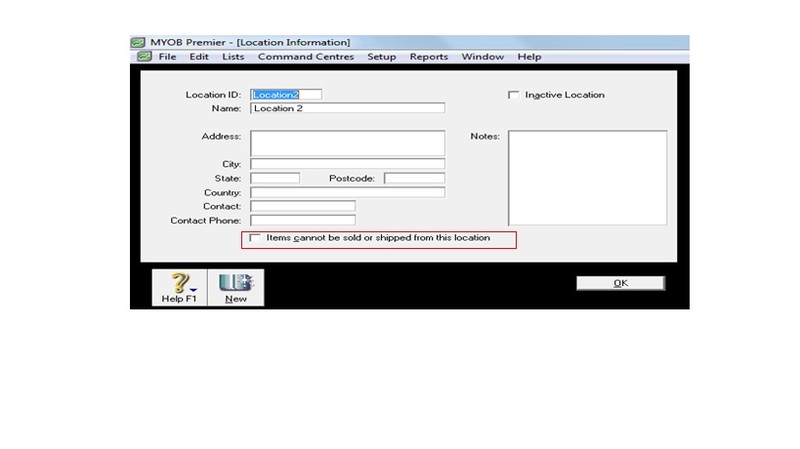 Below the screenshot of sample Location 2 created as additional Inventory Location. 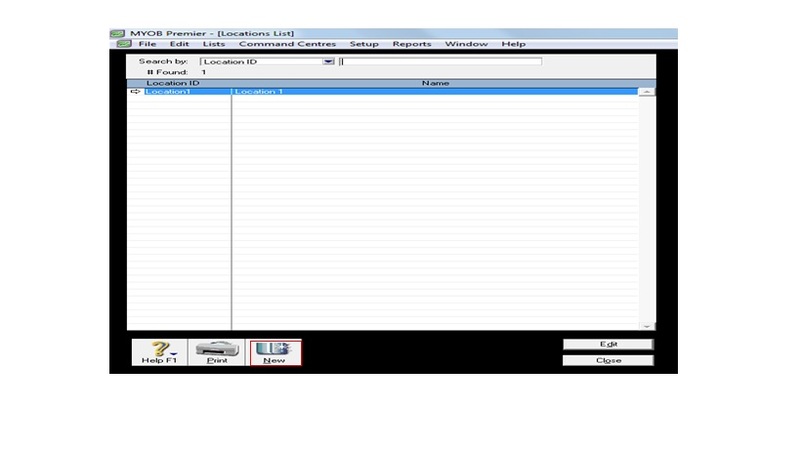 After indicating the necessary information on the fields, click OK to save and click Close to go close the window. 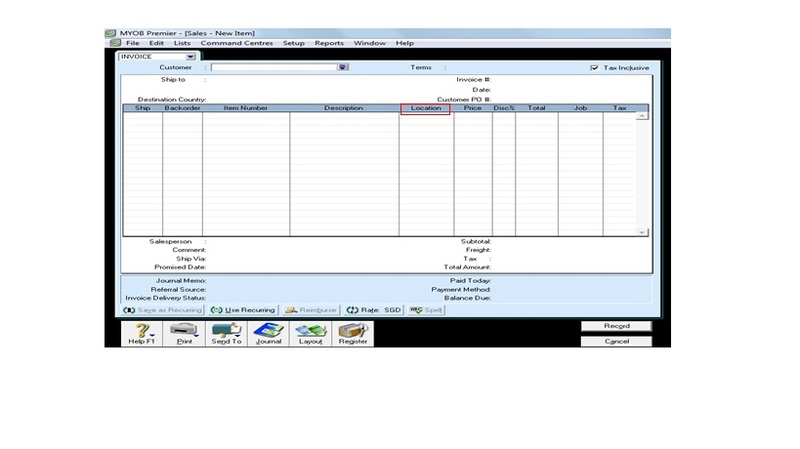 For reference purposes, see screenshot below for the Sales Invoice format after creating additional Inventory Location showing additional field for Location on the invoice display. 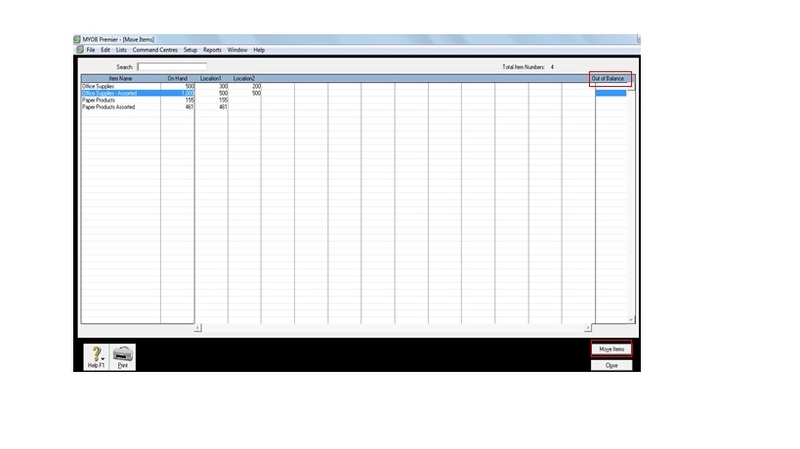 Transfers of inventory from one inventory location to another recorded in MYOB by using Move Items feature. 6) The Out of Balance column should be zero before you can click to Move Items as per screenshot below. 8) Click Close to go back to the main command centre. 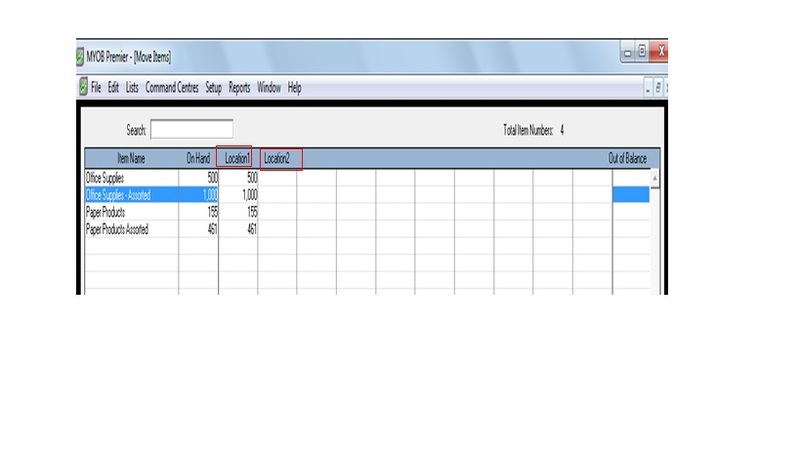 See Screenshot below to effect the inventory movement from Location 1 to Location 2.